Spokane Symphony Associates will present their 6th Annual 'Upscale Sale' benefitting the Spokane Symphony Orchestra, this Thursday, May 29th through Saturday, May 31st at 1027 West 3rd Avenue in Spokane. The Upscale Sale opens with a 'Preview Sale' Thursday, May 29th, from 5-7pm with a $5 admission. 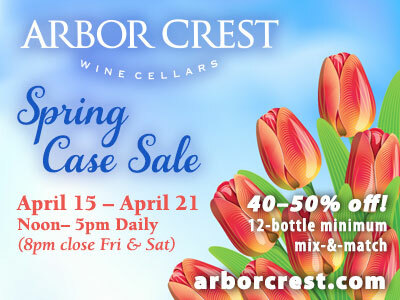 The sale continues (free admission) Friday, May 30th & Saturday, May 31st, 8am-5pm. There will be quality new, vintage, antique and unique items including furniture, paintings & prints , garden & patio items, sterling & silverplate serving pieces, art glass, crystal vases & goblets, fine & costume jewelry, china (Minton, Lenox, Wedgwood and more), designer furs & clothes, dolls, sports & fishing & camping equipment, books & cookbooks, holiday decorations and much, much more. This sale, covering over 5,000 square feet with the highest quality items offered anywhere in Spokane is made possible by the generous contributions of over 100 donors. It is presented by the Spokane Symphony Associates, a volunteer group dedicated to raising funds for the Spokane Symphony Orchestra. Visit spokanesymphonyassoc.org and on Facebook to learn more. Red Lion Hotels Corporation announced the company has named Brian Quinn as Senior Vice President and Chief Franchise Officer. Quinn oversees hotel franchise development and growth opportunities for the company in its plan to expand across the United States. With over 25 years of experience in the hospitality industry, Quinn most recently served as Executive Vice President of Development at Driftwood Hospitality Management and Vice President of Upscale Development for InterContinental Hotels Group (IHG), overseeing growth of the Crowne Plaza and Hotel Indigo brands across key markets including the U.S., Canada and the Caribbean. During his tenure, the Crowne Plaza brand was recognized as the fastest growing upscale brand four years consecutively. During his 20 years with IHG, Brian also held leadership positions in franchise services, owner relations and hotel operations. Previously, he served in franchise development for Hilton Hotels Corporation. A 51,758-square-foot retail property on North Division has just sold to AB Management, LLC for $7.5 million. The center is located at 7630 N. Division and tenants include Michaels Arts and Crafts and Cash and Carry. Major neighboring tenants include Grocery Outlet, Dollar Tree, Furniture Row, The Onion, Noodle Express, and Old European. Goodale and Barbieri Company's John Hillier and Cory Barbieri facilitated the transaction. Goodale and Barbieri will continue the management of the property. McDirmid, Mikkelsen & Secrest, the largest local CPA firm in Spokane, will be joining Eide Bailly, a top 25 CPA firm in the nation, on June 16. This union will bring Eide Bailly's total staff to 1,350, including 202 partners. With 22 offices in 10 states, Eide Bailly is a full-service regional CPA and business advisory firm. McDirmid, Mikkelsen & Secrest has served clients in the Inland Northwest region, northern Idaho and western Montana since 1976. The firm offers clients audit, accounting, tax, consulting and management advisory services with a staff of 50 professionals. The Spokane Association of REALTORS invites you to the annual REALTOR Open House weekend this Saturday May 31st and Sunday June first. Hundreds of homes for sale in the Inland Northwest will have open houses. All locations, all price ranges. Attendees will also have a chance to win a $1,500 gift certificate from Furniture Boutique, 1826 East Sprague. They offer furniture, decor, antiques & more. Go to spokaneopen.com for a complete list of all the open houses, this weekend May 31st and June 1st. Spokane-based Complete Suite Furniture has opened a new 35,000 square feet location in the Spokane Valley in the former Halpin's building at 11410 E. Sprague Avenue. It's the seventh location for the furniture retailer. The new store features popular name brands such as, American, Stanton, Sealy Posturepedic among others. Complete Suite Furniture has also updated its branding with a new logo, tag line, web site, and other complimentary elements. The store is celebrating by having a Grand Opening Sale with savings of up to 70% off through June 22. Owners and Spokane natives, Brad and Julie Markquart, opened their first Complete Suite Furniture storefront in Spokane Valley in 1998. The company's seven locations, include three stores in Spokane, one on Coeur d'Alene as well as stores in Kennewick, Pasco and Yakima and has 30 employees. The website is www.completesuitefurniture.com. Nectar Tasting Room has organized a night out on the town just for you. Beauty and the Vine is Wednesday, May 28 from 6-9pm. This free event is sponsored by Dr. Stiller's Linea Cosmetic Surgery and will be a night of beauty, health tips, and of course wine. Enjoy discounted Botox and Juvederm treatments, chair massages from Sicilia Chiropractic, brow waxes from Sharmaine Nichole Beauty & Barber, and more. Bring a 'wish list' item for Blessings Under the Bridge and receive a free paraffin dip. For a full list of services, 'wish list items' and to pre-register for BOTOX or JUVEDERM visit drinknectar.com or call 509-869-1572. Papa John's Pizza is opening a new store this Thursday at 2926 S Regal Street and adding to the ever-growing list of recent businesses to make a home on the South Hill of Spokane. The store's owner, Matt Goodwin, has decided to give the first 100 customers at his new Papa John's location free pizza for a year. Goodwin is offering the same delicious deal to a few lucky winners from the new business' Facebook page. Goodwin has been busy here in the Spokane community (this is now his sixth business here) and expanding his already impressive list of successful operations, which include; Volstead Act, Fast Eddie's, PRESS and Boiler Room. Located at 12424 North Division, next to the Village Center Cinemas, Selkirk Pizza offers some of the best pizza in town, along with a nice salad bar, house made soups, sandwiches, and pasta. They also offer sliders, jalapeno poppers, and fries, among other items. Different from other north side venues, Selkirk offers a full service, comfortable bar but caters to families and sports teams by also offering a restaurant side that is self service. "It may seem odd, but we have found that many customers appreciate the aspect of being able to enjoy a nice atmosphere and good food without having to be waited on," says Liz Nelson who, along with her husband, Curt, opened Selkirk this week with their partner, Todd Phelps. "This is a nice aspect when you're with a large group, have kids, or want to be in and out in a reasonable timeframe to catch a movie or a sporting event." In addition to the comfortable Northwest decor, Selkirk will soon offer patio seating to enjoy for the season. 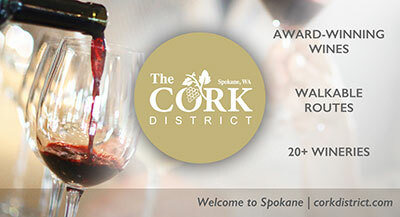 Swirl Washington is Washington's newest premier wine event, pairing the state's finest wineries with eastern Washington's award-winning chefs and restaurants. In the past, similar events have drawn more than 100 wineries, 15 restaurants and an average of 600 attendees.